On Friday, May 1, 2015, Greg Amundson and Naomi Silva joined Chief Urban and Officers from Hayward Police Department’s new CrossFit Law Enforcement gym for an inaugural workout and to film a CrossFit Journal video. The video piece, filmed by Jordan Gravatt, will feature prominent women in both CrossFit and Law Enforcement. 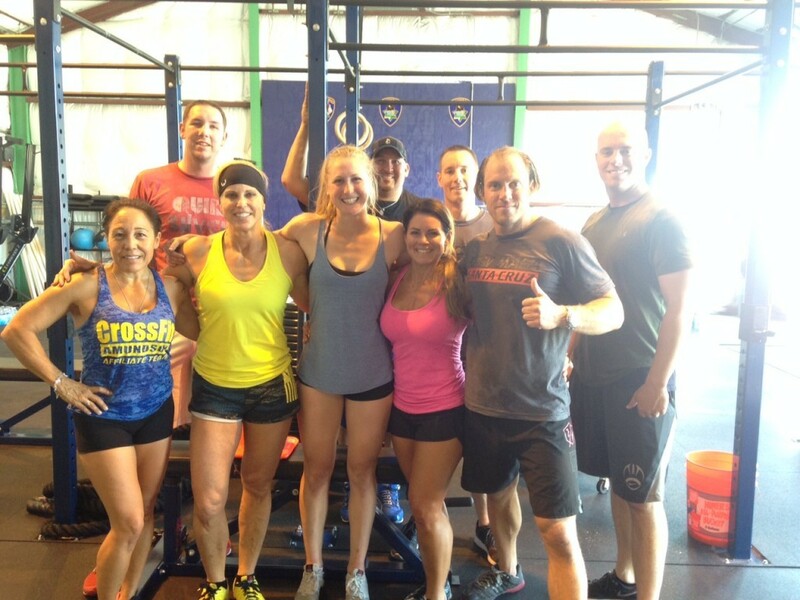 Chief Urban (yellow tank top) qualified for the Masters Division in the CrossFit Games and helped open the CrossFit gym at her Department. Naomi has been doing CrossFit since 1999, and was a former Toughest Cop Alive gold medalist. Leann Alfonso, next to Greg, started the CrossFit Law Enforcement gym at San Jose Police Department. Chief Urban’s daughter, Candice, is a Police Officer at San Diego Police Department with aspirations of being the Departments first female SWAT Operator. The workout was completed in teams-of-two and Greg and Naomi won! The last time Greg and Naomi competed on a team together was the 2004 Toughest Cop Alive competition.